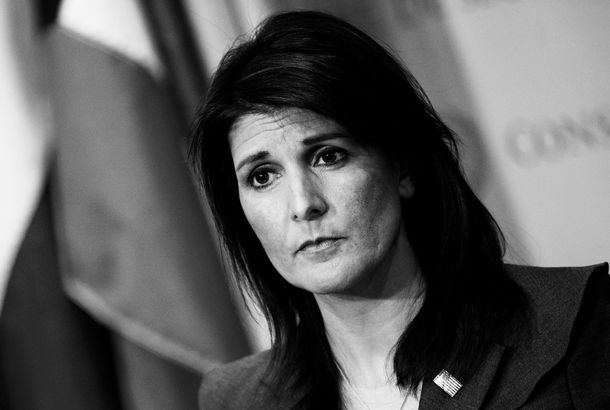 Why Nikki Haley Represents a Path Not Taken for the Republican PartyFor a moment in the pre-Trump era, the outgoing UN ambassador and former South Carolina governor signaled a turn to a more inclusive Republican Party. This Is Nikki Haley’s Last Interview Before Her Resignation. Read It for Clues.Read it for clues. Where Is Jared Kushner Hiding?Nikki Haley described him as “a hidden genius.” But where is he? The White House’s Russia Hawks Are Still Winning the WarBut Trump won a battle against them by overruling Nikki Haley on additional sanctions. 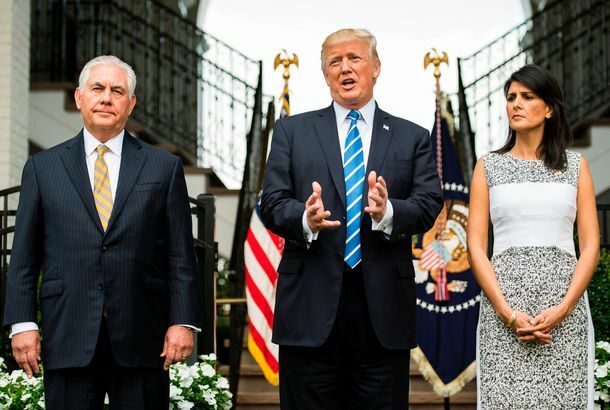 How U.S. Foreign Policy Is Being Shaped by Trump’s TweetsTillerson & Co. jump through hoops to turn the president’s random assertions into a coherent diplomatic strategy. U.N. Condemns Trump’s Jerusalem Decision Despite Threats From U.S.The Trump administration has threatened to retaliate against nations that voted for the resolution. Nikki Haley Says Iran Is Violating U.N. Rules and These Missile Parts Prove ItThe U.S. ambassador to the United Nations held a press conference with “indisputable” proof of Iran’s violations. Trump Is Reportedly Furious at U.N. 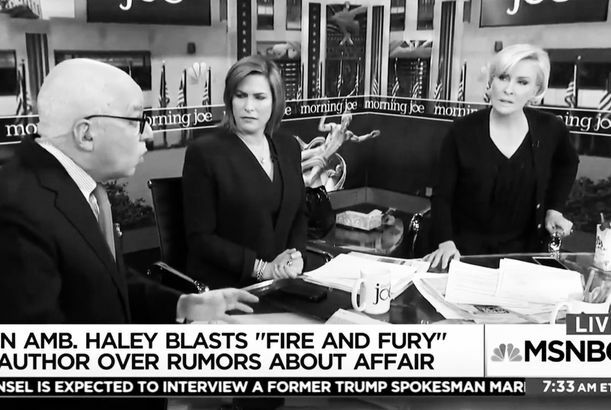 Ambassador for Standing Up for His AccusersShe said all women deserve to have their sexual-misconduct stories heard on CBS’s Face the Nation. For Nikki Haley, Dealing With Foreign Tyrants Is the Easy Part of the JobHow the U.N. ambassador handles her boss with great diplomacy. Unfortunately for Trump, the Iran Deal Is Still WorkingNew data from the International Atomic Energy Agency shows that Iran is cooperating with inspections, and in full compliance with the agreement. Haley: North Korea ‘Begging for War’But she’s still looking for a diplomatic solution. ‘We’re Only Getting Started’: Nikki Haley Celebrates Cuts to U.N. PeacekeepingThe U.N. will spend $600 million fewer dollars on peacekeeping in the next year and Haley is thrilled. Nikki Haley Says She Was Booed at New York’s Pride ParadeThe crowd reportedly shouted “hateful things” at her and her son. Haley Claims That Trump ‘Believes the Climate Is Changing’After days of White House officials avoiding the question of whether the president thinks that climate change is real. 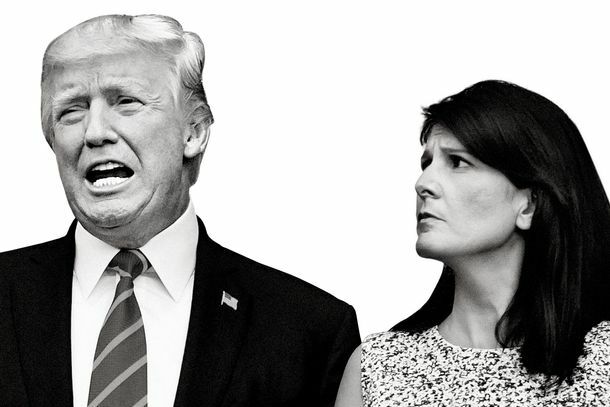 State Department Moves to Rein In High-Flying Nikki HaleyForeign-policy novice Nikki Haley has been a freelancing star at the UN, and the State Department seems to be quietly trying to reassert control. Is Nikki Haley Improvising Her Way to Great Power?The U.N. ambassador appears to be making up a chaotic administration’s foreign policy. That’s dangerous — but it’s working for her so far. White House Officials Indicate Vague Support for Regime Change in SyriaThe Trump administration is out trying to explain their brand-new post-strike Syria policy — if one exists. U.S. Hits Iran with New Sanctions After Missile TestThe Trump administration’s first sanctions come after a week of putting Iran “on notice,” and the day after taking a hard-line stance with Russia. Trump Reportedly Picks South Carolina Governor Nikki Haley for U.N. AmbassadorShe has little foreign-policy experience, but the pick could calm Establishment Republicans and counter accusations of racism surrounding the cabinet.